In 2012 our family packed Operation Christmas Child shoeboxes for the first time. It has since become an annual tradition that we enjoy doing together. We typically pack a shoebox for a girl Adelaide's age and a shoebox for a boy William's age. There are three main items to include in each shoebox gift: toys, school supplies, and toiletry items. We usually try to add a clothing item too. Earlier this year I read that almost every boy wants a soccer ball, so we made sure to include a soccer ball in the boy's box. William helped me to deflate it, and we put a hand pump into the box so that the boy can reinflate it. I like to buy rulers for the shoeboxes, but it is always very hard to pack them since they have to be placed diagonally in the box. This year I found flexible rulers! They were much easier to pack! Packing shoeboxes for Operation Christmas Child is a wonderful way to reach out to needy children around the world. Most importantly, it provides an avenue for the Gospel to be shared. When Samaritan’s Purse distributes the shoeboxes, they share the Gospel with all of the children, and they provide the opportunity for children to sign up for a discipleship program. The shoebox is the first gift many children have ever received. The gifts and letters inside have a huge impact on many of these children. And some of these children first come to Christ because of the love that was demonstrated to them through the shoebox gift and the Gospel presentation. On Monday my daughter, Adelaide, joined me on Periscope to share about Operation Christmas Child. Here is the replay if you'd like to watch! If you are reading this in an email, you will need to click over to my blog to see the video. If you would like to participate in Operation Christmas Child, there is still time! National collection week is November 16-23. You can also build a box online for only $25. This is a great option for those who aren't able to go out shopping due to a chronic illness or disability. 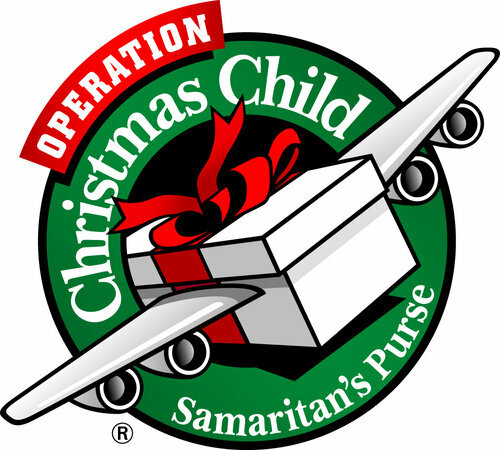 Do you participate in Operation Christmas Child? What is your favorite item to put in a shoebox gift?